Frame Thickness: 0.075” 6063-T5 Extruded Aluminium. Blade Thickness: 0.075” 6063-T5 Extruded Aluminium. 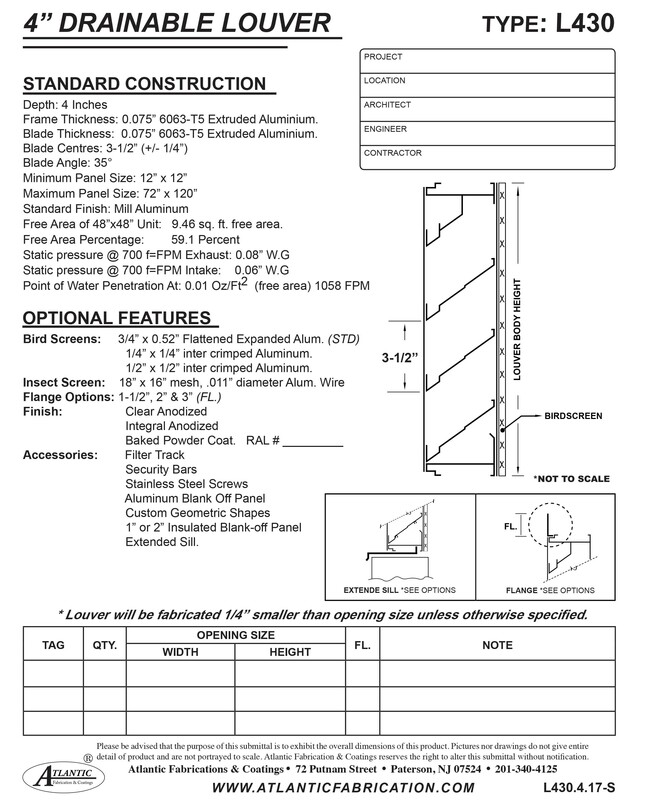 Standard Finish: Mill Aluminum Free Area of 48”x48” Unit: 9.46 sq. ft. free area. 1/4” x 1/4” inter crimped Aluminum. 1/2” x 1/2” inter crimped Aluminum.